As photographers, the quality of any product that comes from us has always been our priority. Our photo booth is no exception. 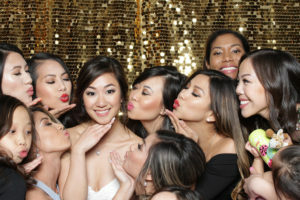 With years in the industry and exposure to many different types of photo booths, we have customized our own formula for what we feel is the best, most efficient, and reliable photo booth on the market. With our background being primarily photography, we have applied the same elements of lighting, technical settings, contrast of colors, and composition in producing the best final product for the value. It may be complicated for us however, for you, we like to keep it simple. Choose your hours. Choose some options. Everything else is included. Delivery & pickup within the Houston area is included. For delivery outside of the Houston area, please inquire. Please contact us for our special pricing! I AM READY TO BE AWESOME!